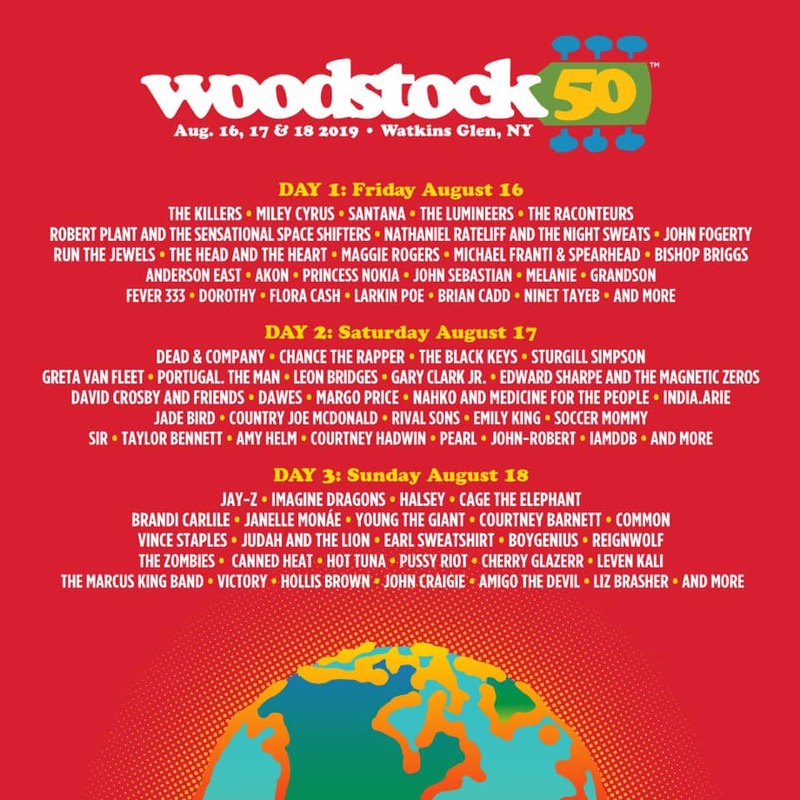 After months of speculation, the Woodstock 50th Anniversary lineup was revealed Tuesday. Included in the lineup were the rumored artists leaked two weeks ago. 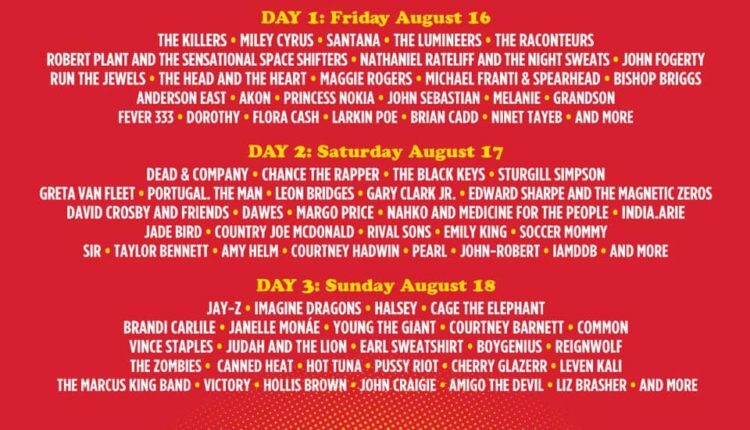 Headliners for the Aug. 16-18 festival, being held at Watkins Glen International Speedway in the Finger Lakes region of New York include: Jay-Z, the Killers, Dead & Company, Imagine Dragons, Miley Cyrus and Chance the Rapper. In a reflection of the current musical landscape, the lineup includes several pop and hip-hop performers: the aforementioned Jay-Z, Run the Jewels, Common, Halsey, Janelle Monáe, Cyrus, India.Arie, Princess Nokia, Chance the Rapper and Earl Sweatshirt. There’s also a noticeable female presence this year with artists such as Soccer Mommy, Brandi Carlile, Bishop Briggs, Monáe, Cyrus Margo Price, Jade Bird, Emily King, Flora Cash and Cherry Glazerr. The somewhat lacking legacy component of the lineup that producer Michael Lang had promised was also officially revealed in the Tuesday announcement. Several original Woodstock performers will be gracing the stages for the 50th. Santana, Canned Heat, John Fogerty, Country Joe McDonald, John Sebastian, Melanie, David Crosby and members of Dead & Company all performed at the original Woodstock at Bethel in 1969. Tickets for the three-day event go on sale April 22. For more information, visit the official Woodstock website here.